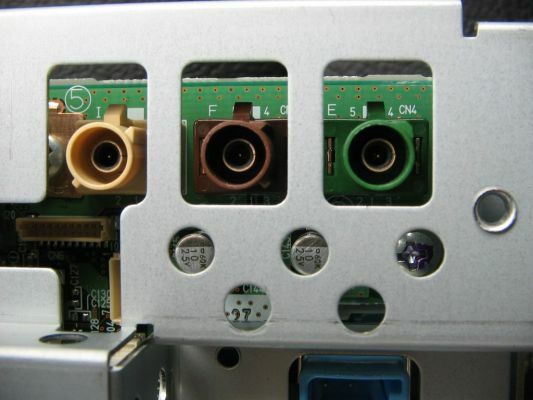 Has any body managed to locate a source for the 3 plugs that fit into the back of the sat nav unit allowing input of tv/dvd / reversing cam / companion cam? Location: Aberdeen-Angus. Where the Bull* comes from! I've always found that if its made, farnell-in-one will stock it! way more stock than rs/maplin etc....need to search their site. The Master of Suave ! The inside bit is the SMB part .Basically a small coax connecter (these can be purchased quite easily).Its the outer housing thats the problem (fakra).They are only used in the automotive industry. Thanks for that , i will email them. ...I have been able to obtain the connectors from another source ..only problem is minium order 40 of each ...don't think i need that many. If you have to order a minimum, and it helps out cost wise, I'm happy to take a few off your hands. Let me know. Did you get any look with the connectors? Probably having some Rear screens installed so it would be nice while not driving (of course!) to display on the front screen. If anyone did find these to buy, I would join in too!